I grew up in Nicaragua in a small village called Albellanas. Albellanas is very primitive; it does not have electricity, running water, roads or bathrooms. The village is very isolated and the nearest town is three hours walking distance. Growing up with very little was difficult, but my family and I were always happy and we made it work. At the age of six, I started to work on a farm with my grandfather in order to grow some vegetables for the family. I remember using a machete for the first time, and somehow the machete hit me on my left wrist. I dropped the machete to the ground and as soon as I saw myself bleeding I started to cry and I thought I was going to die. This was just one story of many that I experienced as I worked on the farm. At the age of nine, I was able to attend school for the first time. I had to walk for more than two hours to get to school and along the way I also had to cross a river. My mother did not want me to go to school because she knew how dangerous this river was. With one hand holding my books up in the air and with my other hand paddling, I crossed the river every day. One day during the rainy season, I had to take my final exams and the rapids were even more dangerous than usual. As I stood on the bank of the river, I was thinking about the importance of my exams as well as the risk involved in crossing the river. I was very nervous and while I was in the middle the river, I felt exhausted and I could not swim anymore. My books fell into the river and I thought I was going to drown, but God protected me and the river pushed me off shore and I was able to take my exam. I learned that sometimes in life we have to make difficult decisions without knowing the outcome. Without risk there is no victory. When I was ten, I decided to go to pick coffee beans during my winter break because I wanted to make money and provide for the family. Working sixteen hour days for an entire month was very tough. I made the equivalent of two US dollars a day. Sometimes it rained all day for a week straight. I did not have a raincoat or a pair of shoes because they were too expensive and I could not afford them. I had to sleep with the same wet clothes because I did not have a change of clothes. One cold and rainy day, visibility was very low and I could not see well. I remember feeling something fall into my basket that was tied to my waist. Immediately, I looked down and I saw a black snake staring back at me. I panicked but the foremen acted quickly and I was lucky that I was not bitten by the poisonous (and angry) snake. When I finished middle school, I did not know where I could go to high school. The nearest high school was too far away for me to walk to each day. My friends were making fun of me because they thought that all my effort was in vain. But I had faith that my education was not going to stop there. I knew that God was by my side and that He was not going to let me down. I had the opportunity to meet a missionary and I explained to him my desire to go to high school. He offered me the opportunity to go to an orphanage where I would help with the children in exchange for a free high school education. My mother did not want me to go because she would only see me once a year. I was thirteen years old when I made the difficult decision to leave my family. My life at the orphanage was not easy. Most of the children were either abandoned, abused, or neglected. It made me very thankful for my family. I continued to work hard and to do well in school. I was seventeen and finishing up my high school education when I met a dear friend of mine, Scott Rigell. He is an American who was in Nicaragua on a mission trip. He was at the orphanage for only three days but while he was there, he offered me the opportunity to come to the United States to receive a college education. When I came to the United States in 2001, I did not know any English so I studied ESL for three years. Afterwards, I studied International Business and Finance. I believe that in order to grow and to be successful, we have to step out of our comfort zones and step into the unknown. 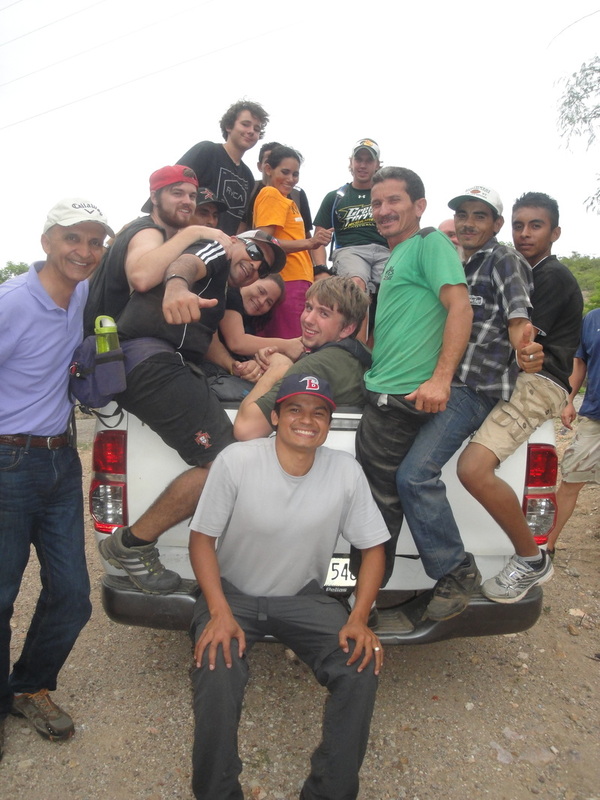 While I was studying in the United States, I continued to think of my family and community back home in Nicaragua. I wanted to make a difference in their lives. So, in 2005 I built a house for my mother in a small town where she could have access to running water, electricity and transportation. There was also a school close to the new house for my siblings. In 2006, through the financial support of the Rigell family, I installed solar panels on all the homes in the village where I grew up. In January 2012, my wife and I created a program called JUST ONE OPPORTUNITY. Its purpose is to provide a more enriching life for the people in Albellanas through the Gospel of Jesus Christ. Currently, we have twenty-five children in the program. In April of 2011, I was able to take ten people to Albellanas to share the Gospel, to build outhouses, and to repair the solar panels. I encourage you all to get involved in the community because you never know how you can change the lives of others. God has given you a unique gift and it is up to you to use it. WHEN YOU HELP OTHERS, you are IMPACTING GENERATIONS.